Winner of an astonishing five Oscars and 22 Grammy® awards, John Williams may well be the greatest film composer of all time. His scores for Star Wars, Schindler’s List, Harry Potter, E.T. (The Extraterrestrial), Jurassic Park and the Indiana Jones films have made him a household name. Under the baton of Keith Lockhart, the Boston Pops celebrates a nearly 40-year association with John and his incredible music. This evening will feature excerpts from the composer’s best-loved scores, as well as some lesser-known gems. No one plays the music of America’s favorite composer like America’s favorite orchestra! 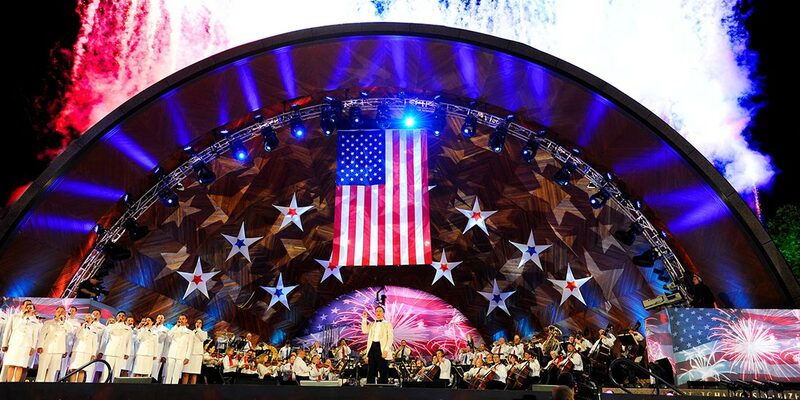 Having led nearly 1,800 Boston Pops concerts in his tenure, Conductor Keith Lockhart (1995–present) has created programs that reach out to a broader and younger audience by presenting artists—both established performers and rising stars—from virtually every corner of the entertainment world, all the while maintaining the Pops’ appeal to its core audience. Lockhart’s tenure has been marked by a dramatic increase in touring, the orchestra’s first Grammy nominations, the first major network national broadcast of the Fourth-of-July spectacular from the Esplanade, and the release of the Boston Pops’ first self-produced and self-distributed recordings.